Lurking in the background of the Good Friday story is the betrayal of one man, Judas Iscariot, the keeper of the money bag. Judas, for 30 pieces of silver, betrayed Jesus to the authorities which ultimately resulted in Jesus’ death on that day so long ago that is now commemorated as “Good Friday.” How, in any world, does the act of betrayal leading to an innocent’s death result in a day that is considered good? How, in any world? Well, being the nerd that I am, allow me to explore this question from that perspective, the viewpoint of a different world, the world of Middle-earth. In that world, there is a man who also betrayed his friends, if only for a moment. Boromir, son of Denethor, is the eldest and heir to the stewardship of Gondor. He has a younger brother named Faramir, but Boromir is much more his father’s son than Faramir. Both Boromir and Denethor crave the power of control and neither have any desire to set that power aside, ever. It is this lust for power that makes Boromir susceptible to the One Ring’s allure in Lord of the Rings. Boromir is often seen as the weakest link in the Ring’s Fellowship as it was he who gave in and tried to take the Ring by force from Frodo. Because of this momentary lapse in judgement at Amon Hen, he is sometimes considered a failure, but I wonder, whether Boromir’s involvement in the Fellowship of the Ring was a mistake or an essential act of providence. There is no doubt that Boromir’s actions were more in line with Sauron’s mind than with Gandalf and his company’s. There is also no doubt that it was Boromir’s lust for power, or in the very least his enjoyment of it, that brought about his downfall. However, what if Boromir had not given in to the temptation of the Ring and, like the other respectable members of the company, had remained firmly set against using the ring for his own means? What if that pivotal moment had not happened at Amon Hen? Because of Boromir’s act, Frodo and Sam are forced to leave the company, Frodo because he realizes that eventually all the members of the company would give in, and Sam because of his undying loyalty to his master. If Boromir had not attempted to forcibly wrest the Ring from Frodo, we have no proof that Frodo would have had the courage to set out on his own and enter Mordor stealthily, which was essential for success. If Aragorn and/or Gandalf had joined Frodo on this quest, Sauron would have detected them instantly and known they were a threat. But this is not the only effect of Boromir’s betrayal. With the company divided and searching for Frodo, he was left alone to defend Merry and Pippin, essentially redeeming himself according to Gandalf. Poor Boromir! I could not see what happened to him. It was a sore trial for such a man: a warrior, and a lord of men. Galadriel told me that he was in peril. But he escaped in the end. I am glad. It was not in vain that the young hobbits came with us, if only for Boromir’s sake. The Ents take down Isengard, which had it not fallen, Aragorn would never have gotten his hands on the palantír which proved an essential tool in fooling Sauron into turning his eyes away from Frodo and Sam, and launching his attack on Minas Tirith before his preparations were complete. Further, Merry and Pippin’s capture draws Aragorn to pursue them resulting in his “chance” meeting with Éomer and the opportunity to begin the awakening of Rohan. He also meets Gandalf in his pursuit, who helps free Théoden from Wormtongue’s guile, which in turn wipes out Saruman’s threat to Rohan, enabling the Rohirrim just enough time to send the army that saves Minas Tirith. If Boromir had not been part of the Fellowship, he would not have been tempted by the ring and given in. And none of these things could have happened if Boromir had not succumbed, at least for a time, to the temptation of the ring. This one failure of Boromir was essential to the successful defeat of evil as no other single event in the book was. Almost like Judas Iscariot’s failure being essential to the defeat of evil in our world. This one act was pivotal for setting the crucial events, which had to take place, into motion. So, as scripture says, these things must come to pass, but woe to he who brings them about (Matt. 26:24; Mark 14:21; Luke 22:22). The Gospel of Mark, at least, never mentions Christ’s death without immediately drawing attention to his resurrection. You can read about Judas’ story in Matthew 26:14-47; Mark 14:10-46; Luke 22:3-48; John 18:2-5. Providence often refers to God’s leading in this world, however it can also at times be God’s taking of an evil act, though not planned by him, and using this act to bring about his will. It is this theme that Tolkien enjoys playing with in his novel. We’ll explore this in a larger Middle-earth context in a later blog. I will discuss this in a future blog. Gandalf at the borders of Fangorn Forest in Tolkien, Lord of the Rings, p. 485. HarperCollins, 1995 Edition. September 11, 2015 marked the 14th anniversary of a day in which the world witnessed a terrible act of unmitigated evil. Advocates of terrorist beliefs hijacked four jet airliners and attempted to crash them into American buildings. Three were successful, two crashing into the World Trade Centre and one into the Pentagon, while one crashed into a field near Shanksville, Pennsylvania. 2, 997 people lost their lives that day in New York alone, plus over 2, 500 more who have died from contracting cancer due to the toxins that were released into the air that day at ground zero. An immeasurable number of others had their lives forever changed. Though the act was aimed at the United States of America, the entire world watched in horror and most agree that, regardless of what spurred the event, it was an act of unmitigated and unprecedented evil. This act demanded a swift and immediate response. But what was that response to be? How could one respond to this type of evil? The United States decided to declare war, War on Terror, and invade Afghanistan. Was this the right response? I’m hardly the one to answer that question, but I will make the point that here we are 14 years later and the war on terror still rages. Terrorism still remains in the world, United States airports have higher and stronger security measures, and U.S. borders are patrolled more stringently; fear reigns more highly in the U.S.A., and worldwide, than before 9-11. Has the War on Terror made the world safer? Has the War on Terror stopped such an event from ever occurring again? Has it changed the mindset of those who originally advocated for acts of terrorism or has it perpetuated it? On May 2, 2011, almost 10 years after 9-11, the U.S.A. announced that they had found and killed Osama Bin Laden. The world rejoiced, at least most of it. Especially those citizens who had directly dealt with the pain and sorrow of that September 11, 2001 tragedy. Even those who claimed to follow different teachings than the terrorist mindset rejoiced. Many Christians across the country thanked God for, not only the end to one man’s reign of terror, but for his deserved punishment and death — Christians who claimed to follow the teachings of Jesus Christ (to be clear a Christian is NOT a BELIEVER in Jesus, but a FOLLOWER). The teachings of Jesus include unapologetically to love your enemy and do good to those who persecute you (Matthew 5:43-45; Mat 26:51-52; Luke 6:27-36; Rom 12:17-21). Yet on May 2, 2011 many, not all, in the Christian community cheered at the murder of their enemy. Even atheists such as Bill Maher could identify the disconnect in mainstream Christianity’s response. (Caution: video contains course language and may be offensive to some). Perhaps the biggest and most hidden tragedy is that the War on Terror turned a movement which was originally based on peace and love for both one’s neighbour as well as one’s enemy, into a movement that applauded, if not advocated, terrorist activities. So did the War on Terror change the mindset of those who originally advocated for acts of terrorism or has it perpetuated it? How does one resist evil, without becoming the very evil one is resisting? Many authors have explored this question from many different angles. Suzanne Collins did it in the Hunger Games, George Lucas did it in Star Wars, and J.R.R. Tolkien did it in The Lord of the Rings. Suzanne Collins illustrated all too well that even though the 13th Colony was seen as Panem’s salvation, once we got to know it, we found the 13th Colony no different than the Capitol. They both used manipulation, they both believed that violently defeating the other was the only way to win, and they both desired to control their inhabitants. Even Katniss’ sappy love triangle is seriously nauseating until one realizes that the love triangle is a microcosm of sorts for the author’s entire series. 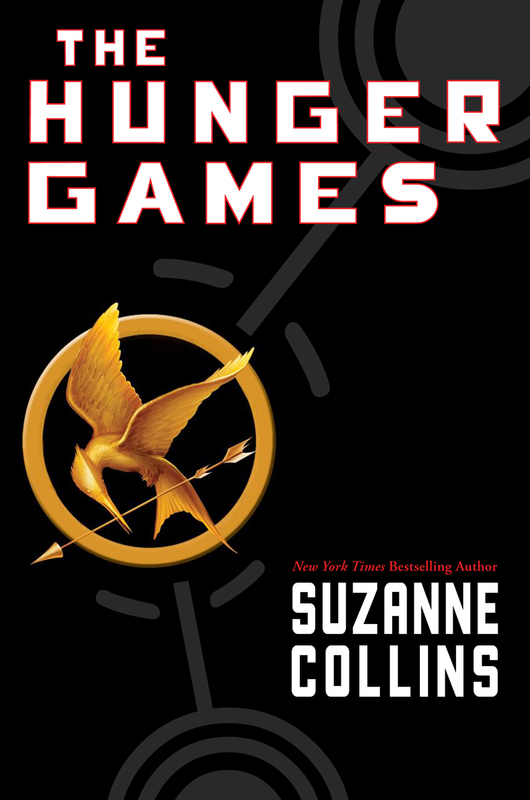 Katniss must choose between Gale, an allegory for violence and war, and Peeta, an allegory for peace and unselfish service. In the end and in an ironic and tragic twist, the weapons that Gale was developing and his violent scheming reached out and killed Katniss’ sister, the very person and reason that Katniss so unselfishly entered the Games to save. Gale thought he was saving Katniss, her family, and her colony with his actions, but those very actions brought about the destruction of Katniss’ family and Katniss’ unselfish act of salvation. Katniss chose Peeta, the unselfish servant to live the rest of her life with. In Star Wars, George Lucas reveals his thoughts in the famous scene where Luke Skywalker is being trained by Yoda on Dagobah. At one point, Luke feels something evil. “What’s in there?” he asks Yoda. “Only what you bring with you,” is the reply. 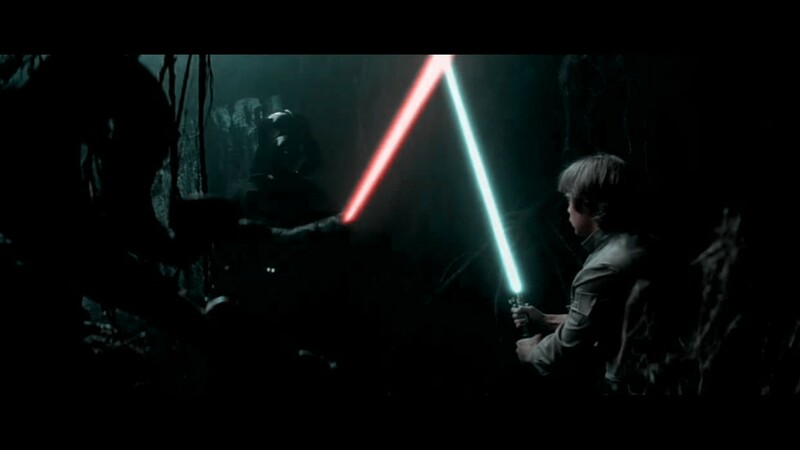 Luke proceeds to confront Darth Vader in a somewhat anticlimactic light saber duel. 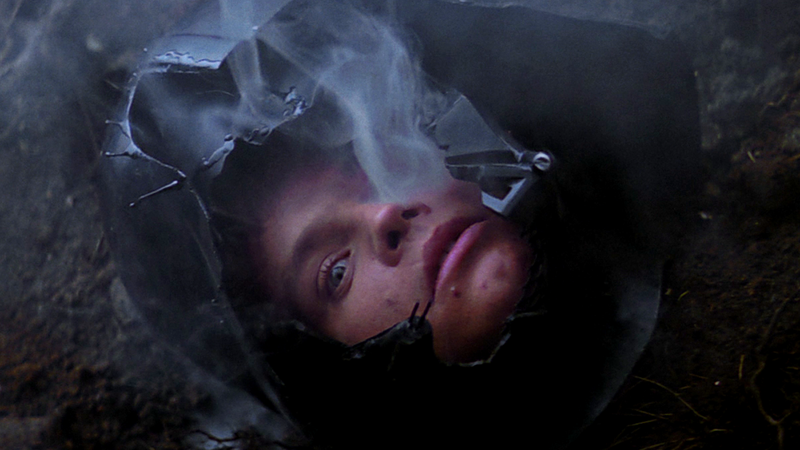 In the end Luke kills the imitation Vader but when his enemy’s hood is removed, it only reveals Luke’s face. The scene can be interpreted in a number of ways, but I believe Lucas is illustrating that if you use the same weapons and actions of evil to overcome that evil, you simply make yourself into that very evil, as Luke became Vader. So how does one overcome evil without becoming evil? J.R.R. Tolkien illustrates his thoughts on this question by using the meekest beings in all of Middle-Earth to overcome the most powerful and most evil. These beings don’t overcome evil with power, in fact it is through their meekness that they are able to resist the enticement of the one Ring as long as they do, and the most servant-hearted of them all, Samwise Gamgee, is the only one in the entire book who is able to hold the Ring and still freely give it up via his own desire (proving that Sam is the true lord of the Ring). In The Lord of the Rings, evil is overcome by meekness, servanthood, love of companion, and courage. Not by picking up a bigger, better ring! For Tolkien this was the only way evil could be overcome. 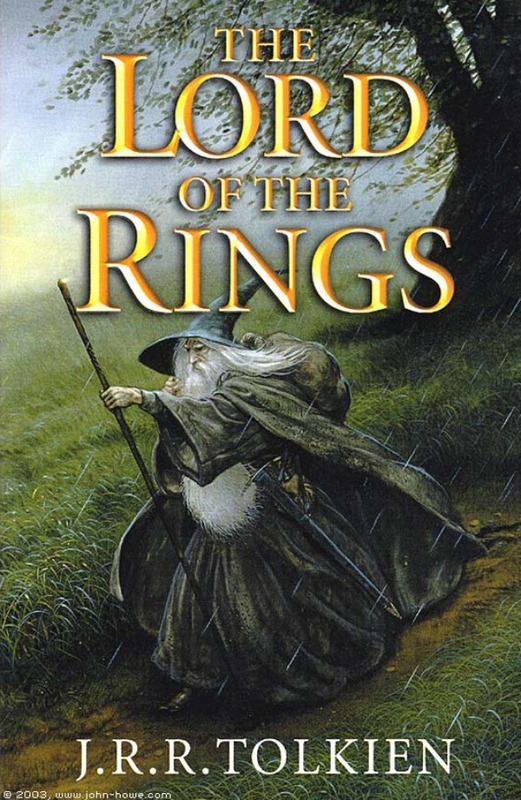 “You cannot fight the Enemy with his own Ring without turning into an Enemy; but unfortunately Gandalf’s wisdom seems long ago to have passed with him into the True West…..” (J.R.R. Tolkien, The Letters of J.R.R. Tolkien, HarperCollins, 1995, p. 94). Did the United States’ response to September 11, 2015 solve the problem, or just use the Enemy’s Ring to overcome them and become their own Enemy? I’m not the one to say, but I think it bears some musing on. After all, this approach to dealing with enemies has been around since before Genesis 1 was written and it hasn’t solved the problem. Many think that Tolkien’s approach is foolishness, but what is more foolish, trying something new or doing the same thing over and over even though it’s already proven not to work?